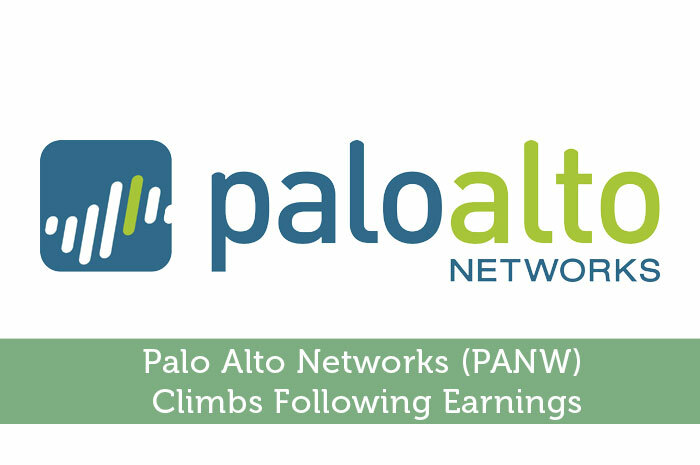 Palo Alto Networks recently reported earnings as expected. Overall, the earnings report was better than what investors and analysts alike were expecting. As a result, the stock has started to climb in the market. Today, we’ll take a look at the earnings report from PANW, discuss how investors have reacted to this point and discuss what we can expect from the stock moving forward. Earnings Per Share – In the quarter, PANW reported earnings per share in the amount of $0.35. This figure came in $0.03 ahead of analyst expectations of $0.32. The figure also showed exponential growth year over year, climbing from $0.15 per share. Top-Line Revenue – In the case of top-line revenue, PANW reported a total amount of $297.2 million. This also came ahead of expectations. Wall Street analysts expected the company generate a total of $284.4 million in the quarter. This figure shows more than $100 million in year over year growth. In the same quarter last year, PANW generated revenue in the amount of $192.3 million. As we’ve come to expect any time we see overwhelmingly positive news with regard to earnings, we tend to see a positive reaction in the market. That’s exactly what we saw from Palo Alto Networks following the Q1 earnings results. Currently (11.24.2015 12:31), PANW is trading at $180.49 per share after a gain of 4.92% so far today. Moving forward, I’m expecting to see overwhelmingly positive news from PANW. First and foremost, investors are ultimately investing for growth. Therefore, earnings are incredibly important. Through the release of their Q1 earnings report, Palo Alto Networks has proven that they have the ability to grow. In year over year terms, we’ve seen exponential growth already and there’s no reason to expect that this growth won’t continue. With that said, investors are obviously excited about what they can expect to see moving forward, which will lead to growth. Aside from the earnings, a big part of my career is network safety. Considering that Palo Alto Networks is a company that’s heavily focused on the advanced security of networks, I understand their product in great detail. I’ve recently performed a thorough review of the company’s products and I have to say that I am very impressed. As the world of network security continues to evolve, Palo Alto Networks continues to create and provide security systems that are top of the line, which will ultimately lead to more sales, better earnings and growth in the value of the stock. Where do you think PANW is headed moving forward? Let us know your opinion in the comments below!